Bringing peace of mind to home buying with personal service, education, and experience. Once a client, always a client. Even long after your inspection, I am available to answer your questions, and help you with understanding your home. Your complete satisfaction is my primary goal. As a degreed Mechanical Engineer and an InterNACHI Certified Professional Inspector with years of experience in construction and remodeling, you can count on me to perform a thorough and detailed inspection. Easy to understand reports written in plain language. I use state-of-the-art reporting software with digital photos and video. No 'clipboard checklist' inspections are ever acceptable at Golden Arrow. Call or text 805-368-3205 now to schedule your inspection! 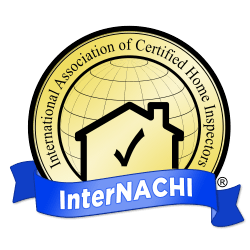 Looking for a home inspector or home inspection in the Conejo Valley? Golden Arrow Home Inspection provides home inspections in Newbury Park, Thousand Oaks, Westlake Village, Agoura Hills, Lake Sherwood, Oak Park and all surrounding areas! Looking for a home inspector or home inspection in Ventura County? Golden Arrow Home Inspection provides home inspections in Ventura, Oxnard, Santa Paula, Fillmore, Camarillo, Moorpark, Simi Valley and all surrounding areas! Southern Santa Barbara, too! Looking for a home inspector or home inspection in the San Fernando Valley? Golden Arrow Home Inspection provides home inspections in Calabasas, Woodland Hills, West Hills, Canoga Park, Porter Ranch, Chatsworth, Tarzana and all surrounding areas!